In collaboration with Italian packaging solutions provider Sipa, Austrian recycling machinery maker Erema presented its recycling system Xtreme Renew, at a recent open house in Ansfelden. This new system enables direct and flexible processing of washed PET flakes to produce preforms. Due to the currently low oil price, PET recycling is not profitable at the moment. "In my experience with customers, the reason why a producer decides in favour of a major investment in a recycling solution is based on a broad-sighted, entrepreneurial approach. Only those companies which are willing and able to adapt will remain in the constantly fluctuating plastics industry in the long term. Thanks to the collaboration with Sipa we make it possible for plastics producers to show the necessary flexibility," says Christoph Wöss, Business Development Manager for Bottle Applications at Erema. 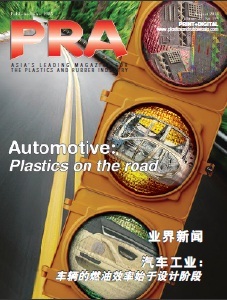 The cooperation between two big players in the plastics industry made it possible to develop a direct processing solution which stands out through better preform quality characteristics when using rPET. The food contact compliant melt produced by Erema’s Vacurema runs when hot and thus without the otherwise common, intermediate cooling stage in pellet production directly into the Xtreme production process developed by Sipa to make preforms in a single step. The benefit of this direct processing, therefore, is an enormous boost in energy efficiency plus considerably lower thermal damage to the PET material. Enrico Gribaudo, Sipa General Manager, notes: "We are proud to have developed such a sustainable product together with Erema. Sustainable in the sense of the company and sustainable in the sense of the environment. Moreover, the processing gives you unrivalled benefits in logistics. Xtreme Renew not only saves space, CO2 and energy, it also reduces costs." Erema says some 1.2 million tonnes of PET are already recycled every year around the world with its Vacurema technology for end products such as preforms for the beverage industry as well as for thermoforming sheet, fibres, strapping, etc. This shows that recyclers and producers can count on flexibility in their production processes to react to fluctuating economic factors, it says. 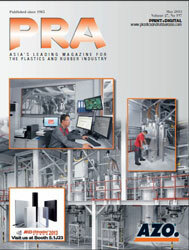 The claim of adaptability applies likewise to the MPR system, which can be retrofitted to existing extrusion lines. Decontamination, drying, dedusting and crystallisation of different PET input materials take place in just one step. As a result, the washed PET material is already food contact compliant prior to extrusion. Vacurema technology offers a very high degree of flexibility in PET recycling, which is enhanced even further through the successful collaboration between Erema and Sipa, says the firm. 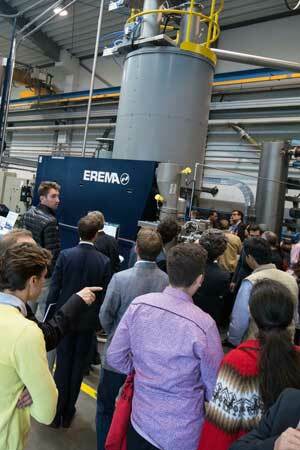 Over 250 customers ranging from sorters and washing plant manufacturers to downstream producers, fillers and brand owners, representatives from the entire PET recycling value chain were present at the Erema headquarters, where it held its Discovery Day.